On Friday, Nov. 2, Bob Baffert returned to the Breeders’ Cup at Churchill Downs with another big, flashy chestnut colt. Making only his second start, the two-year-old Improbable made short work of a lightly raced field of eight other colts in the Street Sense Stakes. After tracking the early pace between horses in mid-pack, through early fractions of :22.27 and :44.96, jockey Drayden Van Dyke guided Improbable to the outside and pushed the “go” button. Improbable loomed three-wide around the turn and, after repelling a mild challenge by the pacesetter Trophy Chaser, opened up to triumph by 7 ¼ lengths. The long-striding colt stopped the clock in 1:35.61 for a mile. By way of comparison, earlier on the card, older optional claimers ran a mile in 1:36.21. Improbable (City Zip – Rare Event, by A.P. Indy) was bred by St. George Farm LLC & G. Watts Humphrey Jr. The hefty colt first sold as a weanling at the Keeneland November Mixed Sale for $110,000 to Taylor Made Sales Agency. Taylor Made brought the colt back to Keeneland for the September Yearling Sale, and Improbable attracted a $200,000 bid from Maverick Racing & China Horse Club. Improbable currently races in the silks of WinStar Farm, who owns the colt in conjunction with China Horse Club and SF Racing LLC. Racing fans can’t help but notice the similarities to this year’s Triple Crown champ Justify. Both are large, flashy chestnuts conditioned by Bob Baffert — and Justify’s connections own an ownership interest in Improbable. Naturally, everyone is looking five months ahead to the Kentucky Derby. In horse racing, five months can be a lifetime away, especially for two-year-olds. Today’s hype-horse can become tomorrow’s has-been. Before getting ahead of ourselves, let’s take a closer look at why Improbable has racing fans excited. The first thing that comes to mind when we hear the name City Zip is speed. While it’s true that most of his offspring are best as sprinters and milers, City Zip does get the occasional winner at classic distances, mostly over the lawn. And his son Collected won the Pacific Classic and placed second in the 2017 Breeders’ Cup Classic. Improbable’s female family holds out hope that the colt may mature into a classic hopeful. He’s the first living foal out of Rare Event (A.P. Indy – Our Rite of Spring, by Stravinsky). The mare was capable on dirt and turf from a mile to 1 1/8 miles. stellar crop that included champions Street Sense and Curlin, Hard Spun faced every challenge. He was best between seven and nine furlongs, but finished second twice at 1 1/4 miles — to Street Sense in the Kentucky Derby, and to Curlin in the 2007 Breeders’ Cup Classic. True to the pattern, two more generations back the accomplished colt was champion three-year-old colt Little Current, who missed the Kentucky Derby, but captured the Preakness and Belmont Stakes. Improbable is the sixth winner of the Street Sense Stakes. The most accomplished colt to exit the race was McCracken, a multiple graded stakes earner of over $869,0000, who was sired by City Zip’s half-brother, Ghostzapper. The large, imposing Improbable has the look and demeanor of an older horse. He has a long stride and covers a lot of ground. He looked professional rating between horses in the Street Sense, and the son of City Zip should improve as a three-year-old. 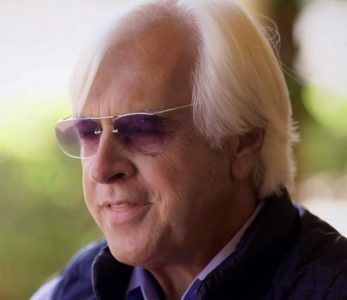 It looks like Bob Baffert may have another interesting colt to watch through the 2019 Kentucky Derby prep races. Improbable could be formidable through 1 1/16 miles, but may find the top of his distance range around 1 1/8 miles, much like his distant relative, Hard Spun. Laurie Ross is a handicapper, pedigree consultant and published author. She is also a member of the National Turf Writers and Broadcasters Association. Laurie maintains her pedigree website Iron Maidens Thoroughbreds and pedigree handicapping blog, IMTBreds, where she focuses on two-year-olds and maidens through the Triple Crown Trail. 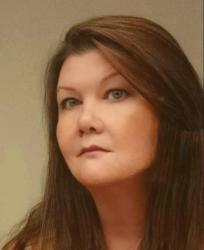 Since 2008, Laurie has been a featured writer and pedigree analyst with Horse Racing Nation. Laurie’s yearly publications contain tremendous insight and value for bettors and horsemen. The Freshmen Sire Guide has received accolades from leading trainers and handicappers. Her Triple Crown e-books continue to be a best-selling feature. Laurie’s work has been featured on numerous websites and she is a recurring guest on sports radio programs. Laurie has been around horses for most of her life, working in racing stables as a hot walker and exercise rider in her teenage years, and later as a volunteer with rescued and retired racehorses. She attends thoroughbred auctions year round on behalf of clients and manages the breeding operations for a racing/breeding syndicate.